You wake up in the middle of the night covered in sweat, heat steaming off your forehead. You take your temperature and see you have a fever! But what exactly does that mean? Unlike the flu or a cold, a fever is generally a symptom of something, not its own illness. How can you determine what’s causing your fever? 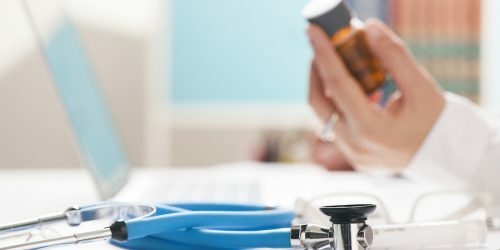 When should you go see a doctor? And how should you treat it? The average healthy body temperature for a human is 98.6°, but you may run a little hotter or cooler than that. Take your temperature when you’re feeling healthy to determine what’s normal for you. The hypothalamus regulates your body temperature. When white blood cells come into contact with the bacteria or viruses that may make you ill, chemicals called pyrogens alert the hypothalamus to raise your temperature, giving you a fever. There are many reasons you might have a fever, and they range in severity. Arthritis, heat exhaustion, and malignant tumors can cause fevers, but so can a bad sunburn or certain medications. Don’t panic if you have a fever and can’t identify the cause; in many cases, it will go away on its own and you may never know what caused it. Because infants have difficulty regulating body temperature, you should not wait to seek care until your baby or child has a fever of 103°. Here are the recommendations on when to see the doctor based on your child’s age. Newborn to 3 months – A rectal thermometer is the most accurate way to take an infant’s temperature, and because fevers can be particularly harmful to infants, this is how you should measure your child’s body temperature. If the baby’s rectal temperature is 100.4° or higher, you should see a medical professional. 3 months to 6 months – In older babies, you may prefer to use axillary (armpit) or oral thermometers. If your baby has a temperature higher than 102°, or has a lower temperature but seems excessively irritable or lethargic, call your doctor and explain the symptoms, as well as the method you used for taking the baby’s temperature. 6 months to 2 years – If your infant has a temperature above 102° and it lasts more than a day, the child should be seen by a medical professional. If other symptoms are present, like diarrhea, a cold, or a cough, you may not want to wait that long – head to FastMed Urgent Care. 2 years to adulthood – As long as your child is responsive and seems fine, a fever shouldn’t be an issue. If the child appears listless or irritable, or has symptoms causing him or her significant discomfort (like a severe headache or vomiting), you should call the doctor or go to your local FastMed Urgent Care. How should I treat my fever? In some cases, the fever may actually be helping your body fight off an infection. Certain viruses and bacteria are vulnerable to higher temperatures, so when your body warms up, these illness-causing pathogens are killed off. The Mayo Clinic states that if you don’t have any other symptoms and your fever is below 102°, you shouldn’t use any fever-lowering drugs unless your doctor advises it. If the fever goes over 102°, you can take over-the-counter medications like acetaminophen, ibuprofen, or aspirin. Children and teens should not take aspirin as it may cause a rare disorder known as Reye’s syndrome. If your fever is caused by an illness, like strep throat, your doctor will prescribe medication (like an antibiotic) to treat the illness. As you heal, your fever will go down on its own. Fevers can be confusing because they are often indicative of an underlying health problem. The guidelines for treating fevers are complicated, particularly for children and infants. 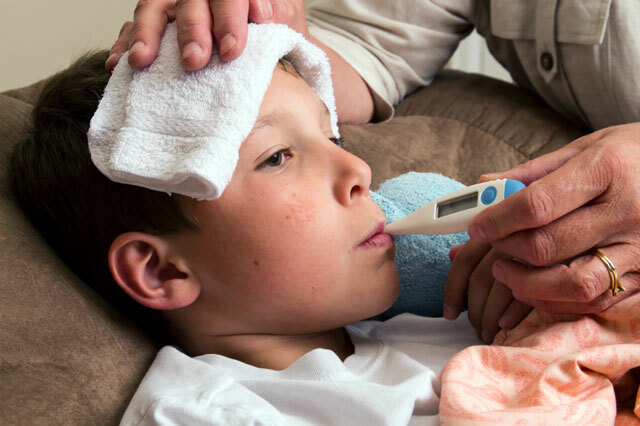 If you’re concerned about a fever, or you notice any unusual symptoms, call or come to FastMed Urgent Care. We’ll discuss your symptoms to determine the underlying cause of the fever, so you don’t have to worry.